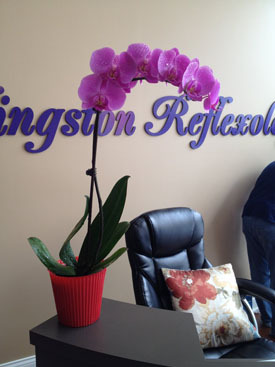 Welcome to Kingston Reflexology Voted #1 Chicago’s Best Couples Relaxation Massage. We provide Couples Massage, Foot Massage, Deep Tissue Massage and Acupuncture to the Chicago Area. Couples Massage of Chicago is a massage that takes place in a room large enough for two massage tables. What you get in a couples massage varies greatly based on the location and focus of the therapists you select. In a spa, couple’s massage typically includes access to showers, hot tubs, lounging areas and more. In a therapeutic setting, like Couples Relaxation Massage, the focus is on the bodywork, so while the amenities might be less extravagant, the therapists are typically better trained. Kingston Reflexology offers clients in Chicago a great Couples Relaxation Massage. This is a great way to introduce a partner who has never gotten a massage before in a way that makes them feel more comfortable the first time. Some people are apprehensive about getting a massage and to have a partner, spouse or friend there is reassuring. Many first timers, especially men, discover what many women already know is that therapeutic touch is very relaxing and restorative. Once they experience a Couples Relaxation Massage , they are much more willing to book a massage on their own. The tiring work schedules and gruesome workout sessions can leave you wanting for some pampering to ease off the stress levels. It is seen that the married couples always look up to their partner to massage them back so that they can regain the vigor but the fact is, it works the other way round. Many times at Kingston Reflexology, we see women that come in for their regular massages and they constantly tell us that their husband or significant other could benefit greatly from massage therapy, but he’s just not into that sort of thing. We quickly find out that the husband or significant other has never had a massage before and is absolutely terrified of the idea. Guess what? You are ready for a new experience! Men usually discover that therapeutic touch is very relaxing and restorative. Once they experience a couple’s massage, they are more willing to book a massage on their own. It can also be a good choice if you’re traveling with someone you don’t get to see often enough — a sister, girlfriend, mom or best friends and you want to spend as much time together as possible.